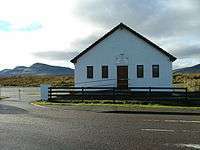 The FCC church building in Staffin. In 1996, Professor Donald Macleod, later to be principal of the Free Church College in Edinburgh was acquitted of charges of sexual assault when a sheriff ruled there had been a conspiracy against him. An organisation called the Free Church Defence Association believed that "it was wrong not to put Professor Macleod on trial in the General Assembly and that the majority has therefore departed from the principle that allegations of misconduct must be investigated not by a Committee of the General Assembly but by the whole General Assembly." The FCDA's chairman, Rev Maurice Roberts, was suspended for contumacy in June 1999 for refusing to withdraw his claim that General Assembly in May of that year was characterised by "gross and irremediable wickedness and hypocrisy". In August 1999, the FCDA's magazine, Free Church Foundations, referred to "the evil of Mr Roberts' suspension." A deadline was set for 30 November 1999 for the FCDA to disband, which it did not. Libels were drawn up against 22 ministers who refused to comply, and in a hearing by the Commission of Assembly on 19–20 January 2000 those libels were declared to be relevant. The 22 ministers were suspended, and they responded by leaving the commission. On 20 January 2000 the 'Free Church of Scotland (Continuing)' was formed when those ministers and a number of others adopted a "Declaration of Reconstitution of the historic Free Church of Scotland." Johnston McKay suggests that although on the surface the split was about Donald Macleod, in reality it was about theology, with the FCDA "composed of people who adhere much more firmly to the Westminster Confession of Faith." Following their departure, FCC sought a declarator from the Court of Session as to ownership of the central funds and properties of the Church. When the appeal was sent to the Outer House of the Court of Session, Lady Paton dismissed their action without granting absolvitor. In March 2007 the Free Church of Scotland proceeded to take legal action at Broadford, on the island of Skye, seeking to reclaim the church manse. The Free Church (Continuing) lost the action at first instance on the decision of Lord Uist, and also lost their appeal to the Inner House of the Court of Session. The FCC expressed its intention to appeal both the above decisions, but in 2009, the International Conference of Reformed Churches noted that the FCC had "withdrawn its appeal of the civil matter that was pending." The denomination is a member of the International Conference of Reformed Churches and of Affinity. 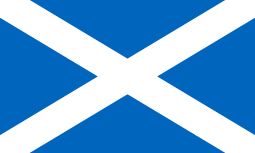 The Free Church of Scotland (Continuing) presently has 34 functioning congregations, of which 7 are in North America. These churches belong to 6 Presbyteries: the Northern, the Skye and Lochcarron, the Inverness, the United States of America, the Outer Hebrides and the Southern Presbyteries. There are 6 congregations and preaching stations in Atlanta, Washington, Columbia, MO, Greenville, SC, Mebane, NC and St. Louis, MO in the United States, a congregation in Canada, Northern Ireland, and a seminary and demonstration farm in Zambia. The Free Church of Scotland (Continuing) maintains a seminary on the outskirts of Inverness for the training of its ministers. The Free Church Continuing continues to hold to the exclusive use of metrical Psalms sung without instrumental accompaniment in worship, a position which the Free Church of Scotland has ceased to hold. 1 2 3 Templeton, Sarah-Kate (2 October 1999). "Free Church in crisis as two ministers face suspension". Sunday Herald. Retrieved 24 January 2011. 1 2 McKay, Johnston (21 January 2000). "A church born out of division". BBC News. Retrieved 24 January 2011. ↑ Notices, Free Church Foundations. Accessed 24 January 2011. ↑ McNeil, Robert (1 December 1999). "Rebels warn Free Church of their plan to break away". The Scotsman. ↑ Act XVIII, General Assembly Acts 2000-2008. ↑ "(FIRST) REVEREND DONALD SMITH, AS MODERATOR OF THE GENERAL ASSEMLY OF THE FREE CHURCH OF SCOTLAND+(SECOND) REVEREND JAMES MACIVER AS THE PRINCIPAL CLERK OF THE SAID GENERAL ASSEMBLY v. (FIRST) REVEREND JOHN MORRISON+(SECOND) PETER MACASKILL+(THIRD) RODERICK MACKAY+(FOURTH) PETER MATHESON, 31 July 2009, Lord Uist". scotcourts.gov.uk. ↑ "THE REVEREND DONALD SMITH AS MODERATOR OF THE GENERAL ASSEMBLY OF THE FREE CHURCH OF SCOTLAND AND OTHERS v. THE REVEREND JOHN MORRISON AND OTHERS, 12 August 2011, Lord Bonomy+Lord Drummond Young+Lord Osborne". scotcourts.gov.uk. ↑ "2009 Conference Minutes" (PDF). International Conference of Reformed Churches. Retrieved 24 January 2011. ↑ "Press Release". International Conference of Reformed Churches. Retrieved 24 January 2011. ↑ "Affinity Partners". Affinity. Retrieved 24 January 2011. ↑ David Blunt. "Presbytery of United States of America". freechurchcontinuing.org. ↑ "Free Church of Scotland". freekirkcontinuing.co.uk. ↑ "Free Church to allow music and hymns -- BBC News 19 Nov 2010 retrieved 15 April 2016".